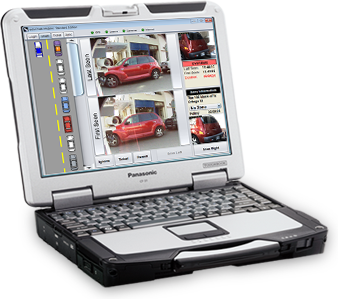 autoChalk® Mobile is an award-winning, mobile enforcement platform. 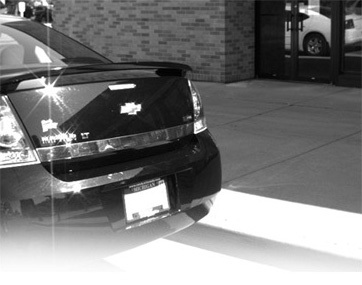 autoChalk recognizes infracting vehicles by using a combination of license plate recognition (LPR) and vehicle recognition technology to accurately determine plate, color, contour and length of each scanned vehicle. Snow covering license plates? No problem! autoChalk will still recognize and detect overstaying vehicles. Using industry leading GPS technology, autoChalk narrows a vehicle’s location to typically within two meters (7 feet) even in urban settings and under dense foliage. 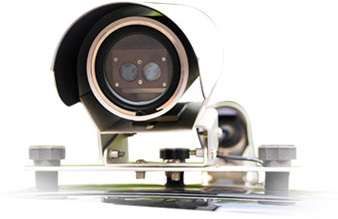 autoChalk’s license plate readers are capable of reading both reflective and non-reflective plates and comes with optional LED lighting giving you the most advanced enforcement solution on the market. autoChalk® is capable of scanning 2 vehicles per second while driving at speeds up to 60 km/h (35 mph). If you lined up 7200 vehicles back to back, autoChalk could scan them within an hour. With this new efficiency and productivity, enforcement officers can cover more ground, scan more vehicles, and provide greater service. Tannery Creek researches and tests all of our components to build the toughest and best equipment to help ensure you are up and running 7 days a week, 52 weeks a year. autoChalk is currently used in the frigid winter temperatures of Calgary, AB to the hot summer climate of Dallas, TX. Whether your location is cold at -30C (-22 F) or hot at 50C (122F), autoChalk has you covered. All equipment is housed in tough watertight protective cases to keep harsh elements out allowing autoChalk to operate in snow, rain and fog. Check out our list of happy customers to see what location is most similar to you! Tannery Creek’s engineers are passionate about making easy to use equipment. We listen to the suggestions of our customers to help create the best user experience. Since autoChalk® is a fully heads up system, your drivers keep their eyes safely on the road. An audible alarm alerts the driver that there is a potential violation or vehicle of interest. The driver then safely pulls over, and verifies potential violations. It’s as easy as pointing at where you want to zoom, and valve stems are easily visible. 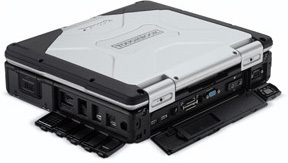 Officers can then mark the vehicle for post processing, or issue a ticket on the spot with a rugged, mobile printer. autoChalk® Mobile uses Tannery Creek’s patented “size, shape and color” vehicle recognition technology to match vehicles apparently overstaying. This new and innovative technique can detect vehicles even when a license plate is not visible, e.g. when snow covered. Some drivers try to thwart LPR by covering their license plates or perhaps they have accidentally covered their plate with a bike rack? Either way, autoChalk will detect them. 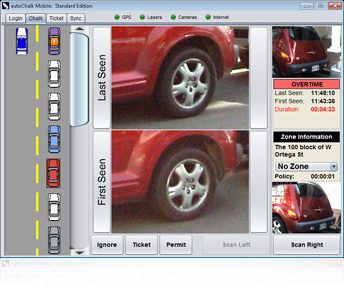 autoChalk® detects and scans over 99% of parallel parked vehicles! And to catch cheaters, autoChalk Mobile can “audit” unreadable plates by prompting the PEO, for example with every third non-read. Intervals are configurable. autoChalk® Mobile can adjust its parking duration time automatically depending on the parking zone. 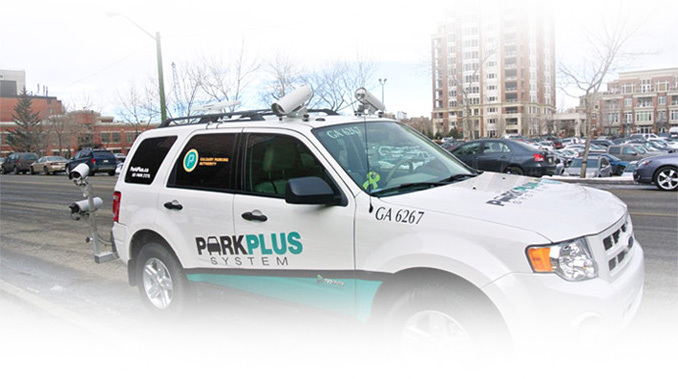 Parking zone definitions use a process called geofencing and GIS which are, in general, an important part of parking enforcement, as no two areas necessarily have the same parking rules. Using autoChalk Office, your city street can be zoned down to as small as two parking stalls, each of these zones having their own parking policy.Then, when your enforcement staff are out scanning vehicles, autoChalk Mobile will automatically detect which zone it is in and which policy to apply in real-time. 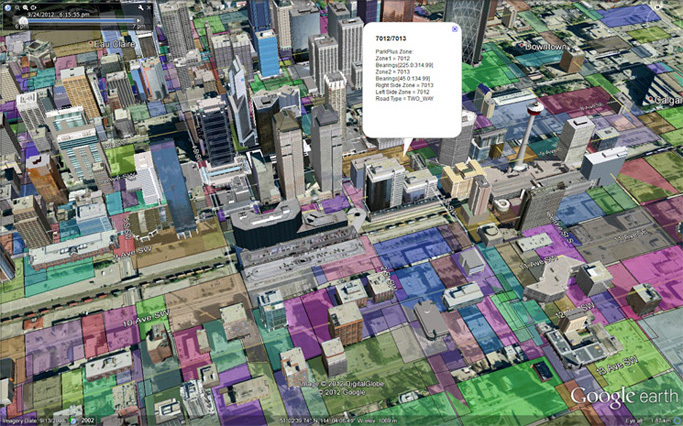 autoChalk’s zones can be converted to and from Google Earth/Maps format, to easily review the zones in your area. Whether your hot lists are stolen vehicles, scofflaws, or you need to check for residential parking permits, autoChalk® can import appropriate plates lists and check those vehicles. autoChalk has plenty of RAM and processor speed to process as many hot and white lists as you need. 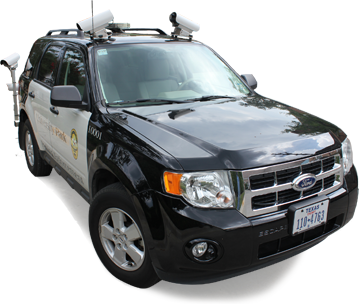 Tannery Creek’s license plate cameras employ an LPR engine that works equally well on reflective and non-reflective plates to accurately discern scofflaws, permit holders or overstaying parkers. Tannery Creek’s autoChalk excels in determining overstaying vehicles. 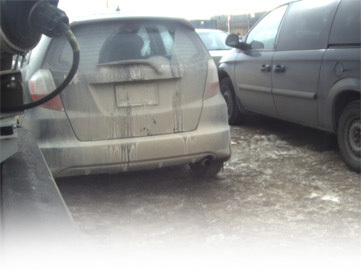 Using our proprietary vehicle recognition technology, autoChalk is immune to snow, dirt, and most forms of cheating. Called digital chalking or electronic chalking, autoChalk employs cameras and lasers and a survey quality GPS to trigger on and compare current observed vehicles to the previous vehicle and its exact GPS location. Fast and user friendly, autoChalk is a heads up system, making digital chalking fast, safe and effective. To autoChalk®, paid sessions are just another type of white list. That is, they are a list of vehicles which are validly parked but for a window in time. autoChalk enforces these with ease in both real-time and post processed, mailout scenarios using our accurate LPR engine. 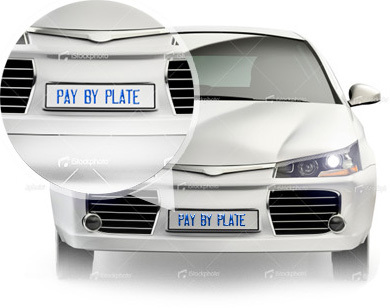 We have many paystation partners integrated already to get you up and enforcing pay by plate in a hurry.